That video of Donald Trump bragging to the most embarrassing member of the Bush family that he is fond of doing sexual assault on women from time to time has caused an exodus of support from his campaign unlike anything we&apos;ve ever seen in modern American politics. 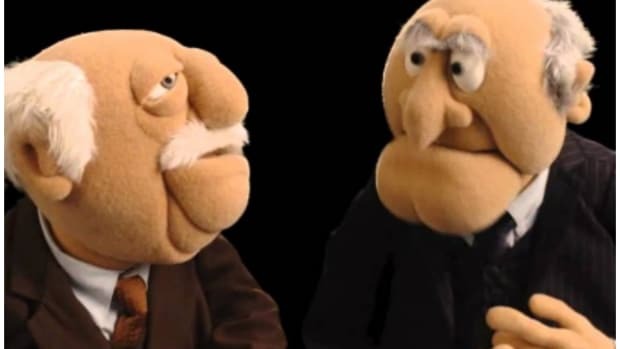 Nearly every elected Republican that had been holding their nose and backing The Donald has seemingly let their nostrils go free and are now coming to the sudden realization that Trump is something of an apocalyptic candidate for their party. And outside politics, Trump has lost the support of Hugh Hewitt, Larry Kudlow and had to make his own wife release a statement that effectively said he was gross. But there is one man who will apparently never abandon his buddy Donald. One man who refuses to kowtow to the notion that a man shouldn&apos;t be shamed for talkin&apos; &apos;bout grabbing some female genitalia. One man who knows that boys will be boys and that we all need to just calm down. And no we&apos;re not talking about what used to be Rudy Guiliani, are we, CNBC? Billionaire investor Carl Icahn said Monday he is holding ranks with the Republican presidential nominee, despite revelations in recent days that Trump made more disparaging comments about women in the past. "Over my years I&apos;ve listened to a lot of salacious talk in locker rooms, bachelor parties, et cetera, by a lot of high-level people, some of whom are now supposedly so outraged," Icahn told CNBC.com in a phone interview. "All I can do is refer to that great quote, &apos;Let he who has not sinned cast the first stone.&apos;"
"It’s amazing that everyone is outraged by something that everyone knows is going on in every locker room in the country," Icahn said. Well, it&apos;s amazing to us that an 80-year-old billionaire is attempting to speak cogently about what goes on in one locker room, nevermind literally all of them. And we get that Icahn detests Hillary Clinton and has had his ego stroked by Trump so hard that the idea of Treasury Secretary Carl Icahn was a thing in the news, but this is just the wrong side of the argument for an old rich man involved in millennial-friendly tech stocks to take. 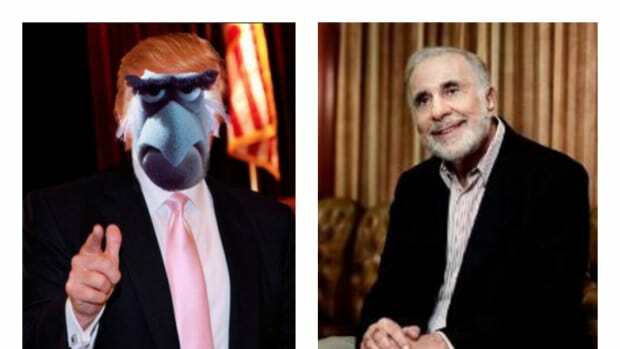 We&apos;re not saying that Carl Icahn should have been a hypocrite himseldf and condemned hi pal Donald, we&apos;re saying that he perhaps should have done something truly radical and not said f@cking anything. Things are getting serious, you guys.